According to our 2018 Teaching with Technology Survey, while some faculty still see technology as a hindrance, most think it has had a positive impact on teaching and learning. 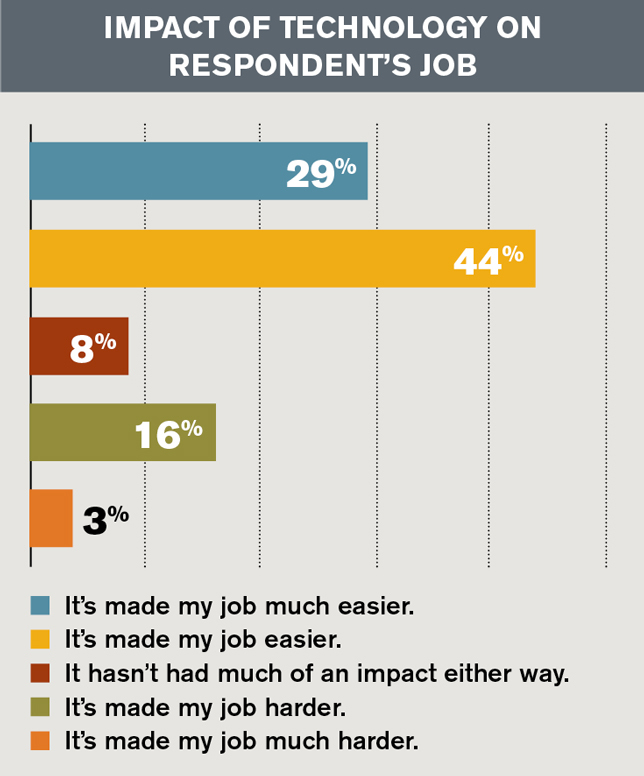 In a recent survey of faculty members at colleges and universities across the country, nearly one in five respondents (19 percent) reported that technology has made their jobs "harder" or "much harder." That's up from 17 percent who said the same last year. Still, many more faculty members said that technology has made their jobs "easier" (44 percent) or "much easier" (29 percent). And a mere 8 percent of respondents said tech hasn't had much of an impact either way. 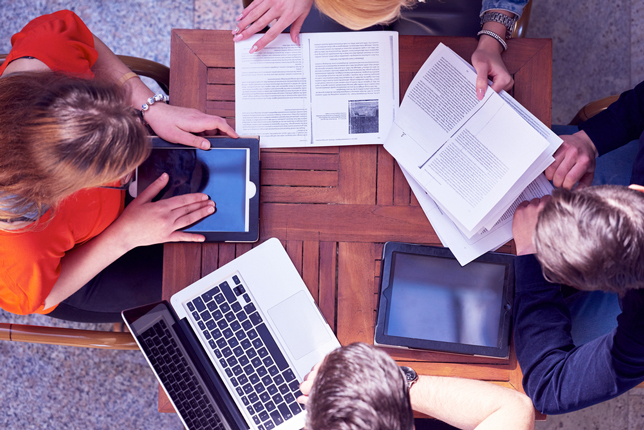 These findings come out of Campus Technology's third annual Teaching with Technology Survey, which asked higher education faculty for their perspective on technology in the classroom, its impact on students and its potential in the future. Despite the hardships that technology can cause, across the board, most respondents (83 percent) said technology has had an "extremely positive" or "mostly positive" impact on education in general, up from 80 percent who felt the same in our 2017 survey. The results were similar when we asked about tech's impact on teaching effectiveness and student learning: Eighty-seven percent of respondents agreed that "technology has positively affected my ability to teach," while 83 percent said that "technology has positively affected my students' learning." When we asked more open-ended questions about technology's role in education, however, the responses we received revealed more nuance. "Using so much technology in learning is a double-edged sword," noted one faculty member at a four-year public institution in Louisiana. "People can easily get addicted to their devices, and using technology can change the way the brain develops — not always in a good way. And even though we're getting away from printed sources, students need to know how to use them. Not everything is on the internet; not everything on the internet is true." "Technology is accidentally increasing students' weakness in reading and figuring things out (critical thinking). They confuse clicking with learning," noted a community college faculty member in Texas. "I am pro-tech but as a servant, not a master." "Many technologies move learning to a convenience and not a commitment on the part of the student and the teacher," said a faculty member at a four-year public institution in New York. "Maintaining rigor in education is critical." "While technology has definitely boosted learning in some areas, it has created a false sense of security in others," pointed out a faculty member at a four-year private nonprofit institution in Texas. "I think it's important to have more research done on use of technology versus use of 'traditional' methods. For example, several recent studies have shown that taking notes with pen and paper improves student learning over taking notes on a laptop. For some students, the laptop is necessary. For the majority, it's a detriment to their learning." Note: We will post more results from the survey over the coming weeks. You can check back for ongoing coverage in our Research section. Our survey polled 161 faculty members across the United States about the use of technology in higher education. The majority of respondents (67 percent) come from public institutions, with 29 percent from private nonprofits and 4 percent working at for-profit schools. Sixty-seven percent work at four-year colleges or universities; 26 percent are at community colleges; and 7 percent designated their institutional level as "other." Respondents represent institutions of a range of sizes, with 46 percent working in colleges or universities with 10,000 students or more. Twenty-five percent of respondents are from institutions with 2,500 to 9,999 students; 16 percent from institutions with 1,000 to 2,400 students; and 13 percent from institutions counting under 1,000 students. Sixty percent of respondents have 21-plus years of experience in the education field, while 30 percent have 11 to 20 years of experience under their belts. Just 2 percent are newbies with under five years of experience. Respondents work in a variety of disciplines, ranging from pharmacy and law to humanities and engineering. The top two most common school and college types represented were education (38 percent of respondents) and business/business administration (26 percent). The top states with the most survey respondents are Texas, New York, California, Florida, Ohio, Illinois, Pennsylvania and Tennessee.